I'll admit, prior to the LDStorymakers Conference earlier this month, I had never heard of Sarah Beard. I was enjoying the author signing, hounding a couple of people and photo bombing others when someone (*cough* Nikki Trionfo *cough*) bounded up to me and asked if I enjoyed reading clean romance. I'm not one to turn down a free book. Ever. Especially since I was able to get it signed right then and there. And while I was there, I snagged Sarah for this month's Dream Chaser. I mean, the opportunity was right there. I had to take it, right? Another confession - I was dubious about the quality of the story. After all, you get what you pay for and I've had bad experiences with free books before. Not enough to deter me from accepting it, of course. I'm not that dumb. Knowing Sarah was going to be my May Dream Chaser, I chose to read her book first out of the leaning tower of books I brought home from the conference. And yes, I did limit myself to just what I could buy with the cash I had on hand. Granted, I came home with mere pennies in my pocket, but that's beside the point. After an exhausting, yet amazing, weekend, I was ready to dive into the realm of fiction and get lost in a story. I snuggled in with my fluffy purple blanket and prepared myself for...well, I wasn't sure what to expect. Two hours later, I closed the book, wiped my eyes, and started praising Nikki's name forever for snagging me like she did. I now ask everyone what genre they like to read and if they're into romance in the slightest, tell them to check out Sarah's book. Okay, maybe I gush a bit, too. It was just that good. Earlier this week, when I read Sarah's Dream Chaser post, I realized just how appropriate it was to have her guest post here. Not only is she a Dream Chaser, but a Dragon Slayer extraordinaire. I'm honored to have met her. She is quite simply spectacular. My adolescence was one of the darkest periods of my life, but it was also during this time that I first discovered my love of writing. My parents’ marriage was falling apart, and my dad was gripped in the throes of a drug addiction, so most of the time I felt lost, alone, and afraid. But I found that when I wrote down my feelings in the form of poetry, those feelings were easier to understand, and my burdens felt lighter. So I joined the literary magazine committee, and throughout high school I found great solace in writing poems and short stories that helped put my struggles in a different perspective. In due time, my dad overcame his drug addiction and my parents’ marriage survived. But the love of writing stayed with me. In college, I majored in communications but continued to use creative writing as an outlet to express difficult emotions. When I was lonely, I would write poems. When I was bored, I wrote short stories. When I had my heart broken, I wrote a lot of sad love songs. I knew I wanted to write a novel someday, but it didn’t feel like the right time, so I focused instead on finishing school. After college, I got married and started a family, so writing took a backseat for a while. But something was missing. Or rather, something was there inside of me that I couldn’t ignore. A little voice telling me that I was a writer and a storyteller, and that now was the time to get started on that novel. So I attempted to write a couple stories. They didn’t make it very far though, because I would write a few chapters, then wouldn’t know where to take the story. Then out of the blue, on a blistering June day in 2007, things changed. I’d just put down my babies for a nap and had a million things to do, but I was suddenly struck with an overwhelming desire to sit down and write something. I didn’t know what—just anything. So I broke out the laptop and typed a scene that seemed to come out of nowhere. I was so intrigued by the characters that I couldn’t stop thinking about them even after I’d put the laptop away. And that’s when my obsession with my first novel began. I spent the next year staying up late every night to write, and scribbling notes on the nearest piece of paper during the day as I took care of my children. 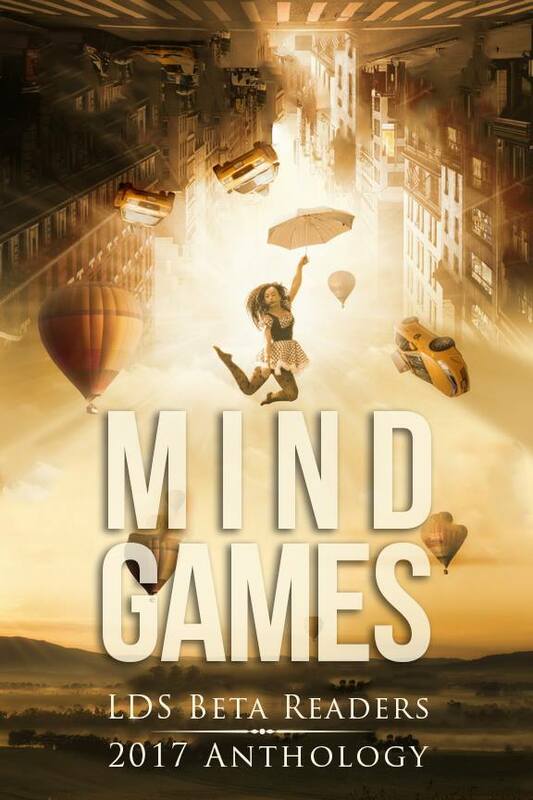 After I reached about 40,000 words, I realized that my writing was not as strong as I wanted it to be. So I took a fiction writing class, read countless books on writing, and dissected novels like textbooks to see what made them tick. And I wrote, rewrote, and rewrote again. And then one day, a Mt. Everest-sized obstacle was dropped in my path when I found a lump in my breast. After a biopsy and four excruciating days of waiting for results, I found out that I had breast cancer. Through chemotherapy and surgeries and radiation, I thought about my beloved characters, and the thought of not being able to finish their story was almost as heartbreaking to me as the possibility of leaving my children motherless. I started a blog (sarahvscancer.blogspot.com), and writing once again became mostly a canvas upon which to paint all my pain and heartache. In the end though, I won my battle with cancer (yay for life!). So after recovering from treatments, I continued on my fiction writing journey by attending writing conferences and joining a critique group. The feedback and education I received from my critique group over the next couple years was invaluable. They pushed me to do my best, and weren’t afraid to tell me when I could do better. And in January 2013, I finally finished my first book! I spent many months after that querying and submitting, and that summer I received a publishing offer from Cedar Fort Publishing. 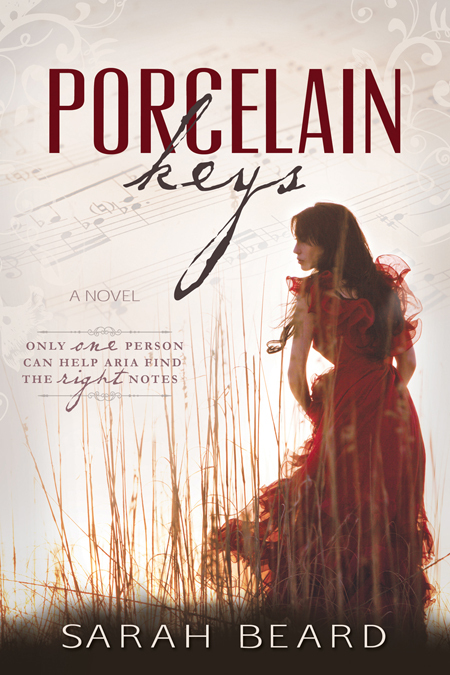 In February 2014, my first novel, Porcelain Keys, was released to overwhelmingly positive reviews. I’ll never forget the feeling of holding my finished book in my hands, knowing that everything I’d been through and all my hard work had finally paid off. But I knew I wasn’t finished. Writing had become a part of who I was, and by then, I was already almost finished with another manuscript. 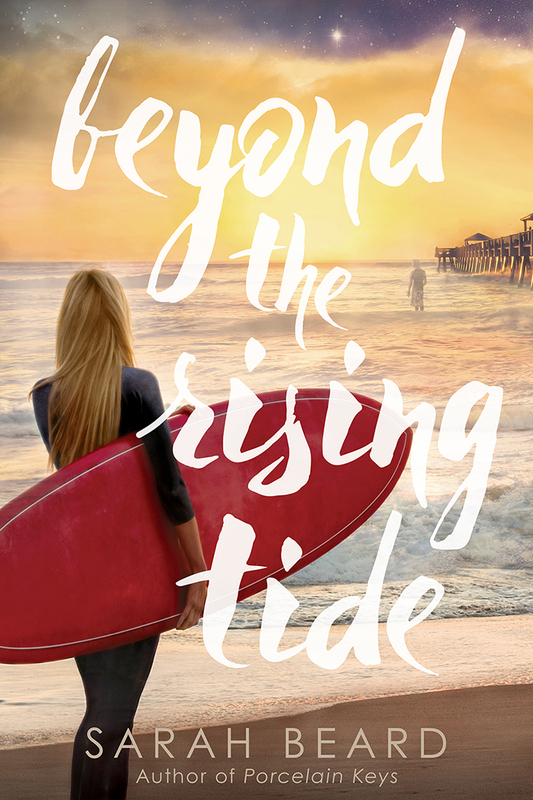 And so my second novel, Beyond the Rising Tide, will be released next month (June 2016) by the same publisher. As I started working on my third novel, I realized that it was time to take my writing to the next level. And after a lot of research and thought, I decided that the best way for me to accomplish this goal was to pursue an MFA in writing. So I shopped around different MFA programs, and decided to apply at Vermont College of Fine Arts. I was accepted and I’ll be starting there in July! Although an MFA isn’t the right path to writing success for everyone, I feel it’s the right path for me. Human beings are meant to create, and there are a million different ways to be creative. We are happiest when we are contributing something meaningful to our world, whether that be in the form of a computer algorithm or a story that lifts a broken heart. We are fulfilled when we leave something (or someone) better than how we found it, when we fill the empty spaces in society or in someone’s heart with the good things we have to offer. I sincerely believe that we all have something inside of us that tells us what we are meant to contribute to this world. And if we listen, we’ll be led down paths to where we’ll gain the knowledge and skills we need to succeed in that contribution. Bio: Sarah Beard is the author of YA novels Porcelain Keys and Beyond the Rising Tide. 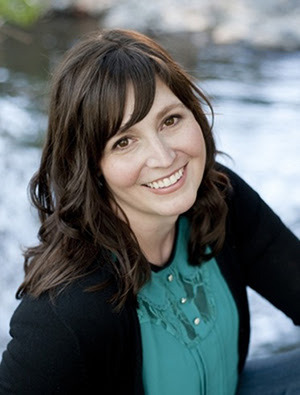 She earned a degree in communications from the University of Utah and is currently pursuing an MFA in writing from VCFA. When she's not writing, she referees wrestling matches between her three boys and listens to audiobooks while folding self-replicating piles of laundry. She is a breast cancer survivor, a baker of sweets, a seeker of good love stories, a composer of melancholy music, and a traveler who wishes her travel budget was much bigger. She lives with her husband and children in the shadow of the beautiful Wasatch Mountains. You can follow Sarah on twitter at @authorsarahb or at facebook.com/authorsarahbeard.